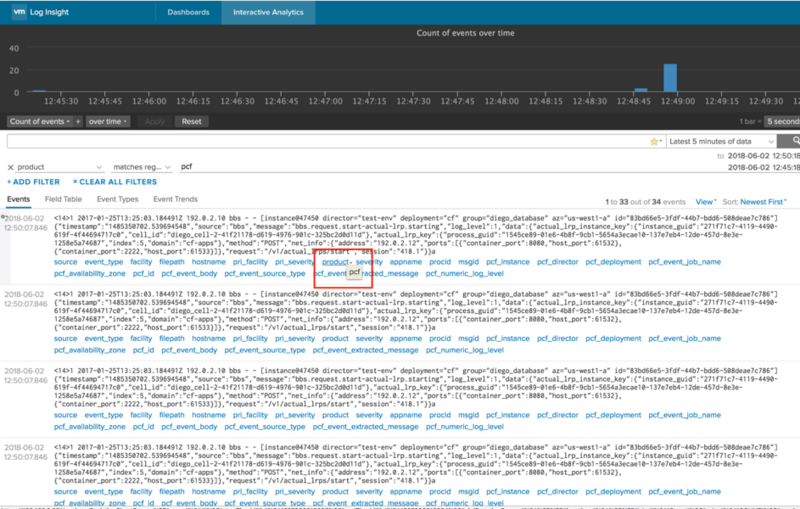 IMPORTANT NOTE: All log file examples are not real and exact PCF log files. Since I do not have a running PCF environment while writing this post, I have used some fake examples and modified them to meet my needs. Let’s consider following use case. You are responsible for operating a Pivotal Cloud Foundry (PCF) environment. PCF is sending all log messages for all spaces, orgs and apps etc. to one central vRealize Log Insight cluster. Your developers using the PCF services would like to access their log messages. Now, you could just grant read access to all developers but doing that you would allow every developer see all messages received by vRLI, not only PCF related. The first and pretty easy solution is to leverage the static tag already being used by the PCF Content Pack. 1. Obtain a Virtual IP from your IT department that will be under the same Subnet as your Log Insight environment. This static tag can be used for creation of an appropriated data set, which will contain only logs from your PCF environment. But what if you want your developers to access only logs which belongs to their PCF org or/and space? 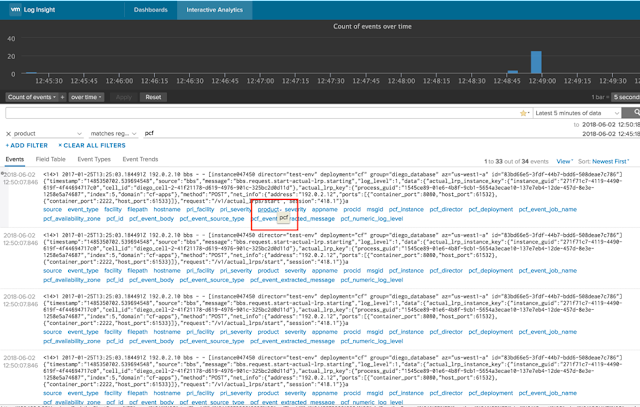 "Use the first drop-down menu to select a field defined within vRealize Log Insight to filter on. The list contains all defined fields that are available statically, in content packs, and in custom content." But if you try to use your own extracted fields in a data set you will notice that this kind of fields are not available in a data set configuration. The solution I have used with my last customer was to configure the vRLI agent on the PCF syslog server to set static fields "dynamically" via RegEx expression. These static fields based on app or space IDs can be used in data set filters.